Two very early sample M.2 Ballistix NVMe SSDs. Today Ballistix became its own brand (no longer a sub-brand of Crucial which becomes a sibling rather than a parent brand). 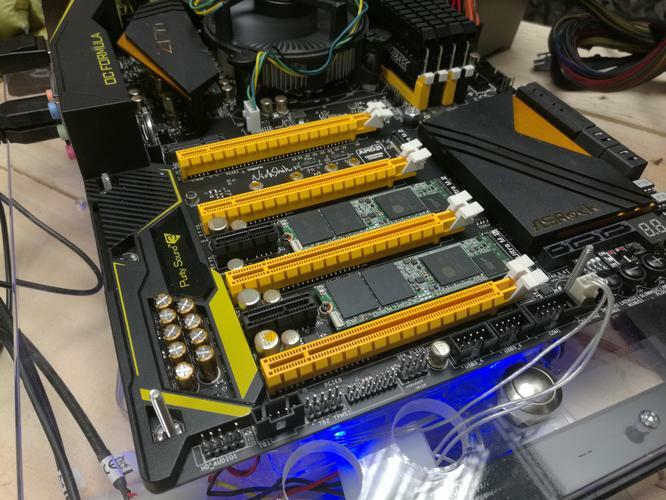 It also showed off its first NVMe drive. To be completely fair, the Product Managers stressed and laboured the point that it was extremely early days for this model and that literally anything could change before release. But what was operating was early silicon running early firmware achieving ballpark figures of what to expect. 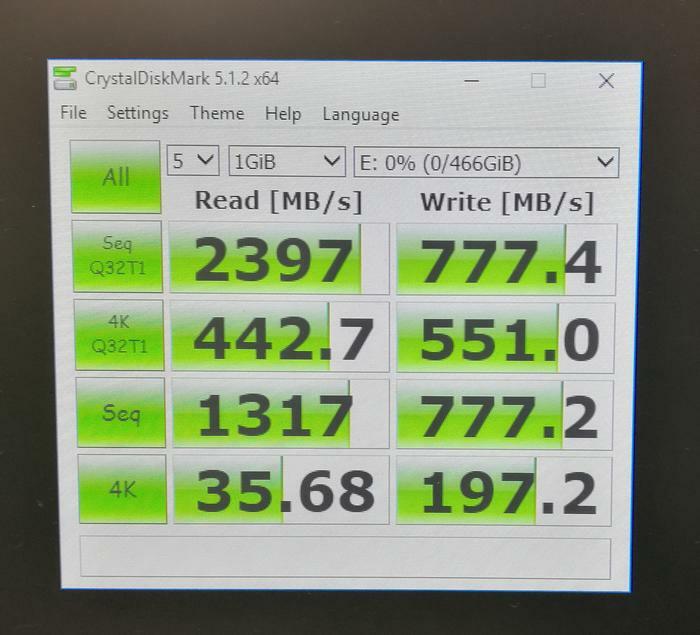 As anyone familiar with CrystalDiskMark will attest, those scores are very high for any hard disk. The very early Ballistix CrystalDiskMark Benchmark scores. There's a long way til launch though, and they are likely to move up or down before then. It's hard to gauge just how well they will do against competitors from Intel and Samsung. You can compare the benchmarks (which are up in some areas and down in others) here. However, more competition means lower prices and more adoption. The TX3 will be shipping in Q3 or Q4. The product Manager told us that, "For performance we're targeting 2400 sequential reads, 1000 sequential writes and 140K each in the randoms, but as I said, those are definitely Windows [rather than] targets. We might be a little faster in some and a little slower in others but that kind of gives you an idea." It uses an SMI controller and 3D MLC NAND and will only come in M.2 form factor. It will be available in 250GB, 500GB and 1TB variants.